I'm wondering about one thing: Have they changed the algorithm or whatever decides on the reward you get? Cause it feels like I'm getting more repeats than usually - and odd ones. I'm working with 10 Sims - and got 5 Chichi heels last time during one 10min option with all of them. This seems rather random - any ideas on whether it really did change, or whether I'm imagining things? I didn't notice any difference from previous events with this hobby. I have some family issues so can't play frequently and find I have not been very lucky so far with this event. I have 30 Sims working on it, and am getting more repeats than usual. My record so far (after already having all but one item) is more than 120 additional attempts before the ChiChi Heels turned up. But I figure if I get one a day, I'm on track. I have plenty of days left and a time extension or two, so I'll just keep plugging away. Ugh. Having really rubbish luck with this. 4 days gone and I still haven't completed the grid ONCE! Good job I wasn't actually that bothered about getting the hairstyles. I've been lucky with this one, I've not even tried very hard with it and started two days late but I have just finished this now. I wasn't that bothered about the hairstyles but sometimes I just like to finish things for the sake of it. Glad to be done with it as I need to work on my town, it's a mess as I'm redecorating most of my sims houses at the moment. I had the feeling it became more and mroe difficult to fill the grid the more a already had unlocke.d I'm stuck with the last one since two days now and still 4 things missing whiel getting repeats over repeats. I have two games going but can't get SFP to load anymore on my iPad. It just keeps crashing. So after I got the River hair on my Glee game on my iPhone I gave up on the rest for that and switched to my Random Yaboes game. That's the one I really want the River hair for, but guess which one I keep not getting!?! I've discovered something interesting and useful about time extensions. This event should have finished for me a week ago I still had 3 hairstyles to get and knew I wouldn't do it in time. I last was in my game with a few hours to go on the event and due to real life dramas I haven't been on the game for a whole week. I went back into my game this morning and got the pop up telling me the event had finished and I didn't get all the styles but I still got the option to use a time extension so with luck I should finish it today. Possibly something already known but I didn't know and I'm pleasantly surprised. That's good to know!! I think I've had it happen on one of my games but it was less than 24 hours since the event ended so I didn't really think much of it. While I'm happy to get the new hair, I wish they'd give us new hair for age groups other than adults. I agree! Especially teens and preteens. I'm so happy this event came back! 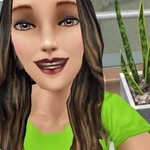 I stopped playing more than a year and I came back around the french event last fall and the few of my neighbors that still play have their sims with pretty colored long hair and I had only finished the long hair event with the limp hair in boring colors.